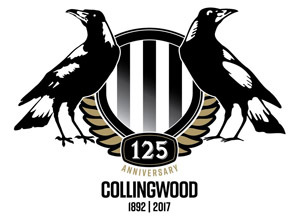 Is there still hope for Collingwood? Most would answer no, but after consecutive wins the Magpies have at least mathematically put themselves back in the finals race. Collingwood went into their mid season bye with a 4-8 win/loss record. That was a woeful start for a club who had grand ambitions for season 2016. Throughout that bye week though the message was the same from everyone at the Holden Centre, that until they were absolutely ruled out of finals contention they’d continue to endure. This they have, with two ugly yet effective triumphs over Fremantle and Carlton bringing Collingwood to within three wins of 8th spot. The problem the Magpies face is that to even stay in contention they just have to keep winning, and that’s not going to be easy with their draw. 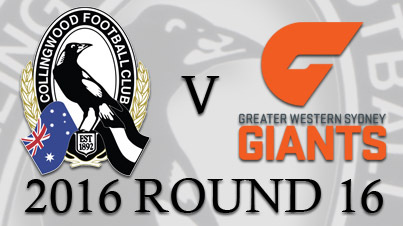 On the run home the Pies play 6 of the current top 8 placed sides in the competition. It starts on Saturday in Sydney when the Magpies travel north to take on perhaps the story of season 2016, the GWS Giants. The Giants find themselves in third place on the ladder with a 10-4 record. That’s a remarkable position for a team who in their short history has yet to even threaten the to play finals, yet now look likely to finish in the top 4. The Giants had a small mid season slump with back to back losses to the Cats and Crows, but have recovered well to win their last 3 games leading into the bye last weekend. In fact as it stands the Giants have the best percentage of any team in the competition due to a great mix of attack and defense. They will welcome the Pies to Spotless Stadium on Saturday and look to get their first ever win over Collingwood. So what has changed, if anything, to create this improved showing from the Magpies in recent weeks? Simply put the backline has changed. Collingwood has gone from conceding large scores to average sides like Melbourne and St Kilda to now giving up only 92 points over the last 2 games. The return to full fitness of Ben Reid, Marley Williams and Nathan Brown has played a huge part in this turnaround but there’s more to it than just that. The Pies are chasing back harder, where in the first 12 games they were smashed on defensive transition the past two games have been so much better in that area. A lot of that has to do with work rate, and maybe, just maybe this Collingwood side is finally going to give a consistent effort each week. There are still some obvious problems though for the Pies and it starts with the forward line. Last week against the Blues it was almost comical how bad each sides forward lines were. The Pies are missing Swan, Fasolo and Elliott from it’s first choice attack and without them at times they look listless. That should be no surprise too, when you’re now relying on a forward line consisting of Cloke (out of form), Cox (played 10 games), Moore (second year player), Blair and Aish. The Magpies will be desperate to get Fasolo back this week or face a tough task scoring against one of the better defenses in the AFL. The Collingwood midfield is a concern too, as it relies on the output of too few to do the majority of the work. The Pies central group ranks last for clearances in the entire league, and it just so happens that this week they run into the team ranked 1st. Once again injuries have had an effect here with Adams and Swan the two most noteworthy omissions. There’s only four players at the Pies who average above 3 clearances a game, and one of those is the club’s main ruckman, Brodie Grundy. The other three are very predictable in Treloar, Pendlebury and Adams. What has been disappointing is the performance of the second tier midfielders, with Greenwood, Crisp, De Goey, Sidebottom and Blair adding very little to the clearances. There’s no quick fix here either, even if Adams returns this week it’s hard to see how Collingwood even get close to the star studded clearance machine that is the Giants midfield. Selection will be interesting for the Magpies this week. As it currently stands, the Pies injury list has two markers, with 6 players on the injury list with a “test” next to their name, and the other 5 with “long term” next to theirs. Of those 6 who are a chance to return this weekend, are 3 standouts in Adams, Fasolo and Marsh. If any of those 3 are fit and able to play football this weekend, surely it’s at senior level. 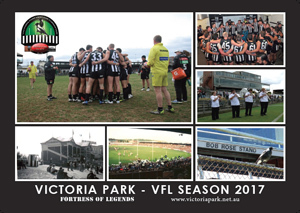 The VFL Magpies, as seems to be a familiar pattern now, had yet another win on the weekend and several from that game will push for selection also. 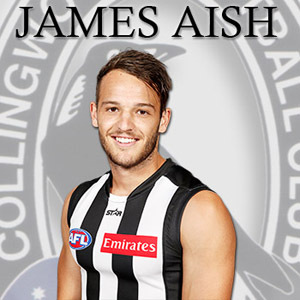 Jesse White, Adam Oxley and Rupert Wills were the standouts of the listed players, so there are options for the Pies at selection this week. It’s a tough task heading north to play the Giants now, and one that the Magpies simply must win to keep any faint hopes of finals alive. The Giants are one of the big stories of the 2016 AFL season. The AFL needed at least one of the latest expansion teams to come good quickly or risk an embarrassment on a national level. Come good the Giants have, as they sit in 3rd on the ladder with one of the easiest draws to come. But even with a tough draw you would back these Giants to qualify for the finals from here, and probably make the top four also. They don’t have too many weaknesses, as they rank 2nd for total points scored and 5th for least points conceded. Simply put the GWS Giants have developed into one heck of a scary opposition for anyone to face. The Giants midfield is as stacked and talented as any in the AFL at the moment. Led by the now experienced trio of Ward, Griffen and Scully, along with a plethora of young talent it really is a force. At their disposal also they have one of the most intimidating ruckman in existence, Shane Mumford. In a young and developing side Mumford may well have been the best trade in of all. Of course there’s the young talent too with the likes of Shiel, Kelly, Coniglio, Greene and Whitfield just a few adding to the depth of the Giants central core. The run into a Magpies midfield this week that has top end talent but not that the depth that the GWS version has. The Pies also rank down the bottom for hitouts while the Giants are near the top. This really is one area of the ground that the Giants should dominate. Ever since the Giants came into the competition their forward line has been talked about. That’s no shock when you have the amount of key position potential that they have. They’ve had to deal with the loss of Cam McCarthy this year but with Patton, Lobb, Cameron and the addition of Steve Johnson their forward line is still performing strongly. Johnson has been a very smart addition to a young and developing forward line, with his wealth of experience and knowledge no doubt improving this group quickly. He’s also averaging over 2 goals a game so there’s some life in the old dog yet. This may be the most competitive region of the ground on Saturday with the Pies backline back in form in recent weeks. They seem to match up well with the Giants in recent years and that shouldn’t change too much this weekend. If there is an area of weakness for the Giants it may be their backline, but even that would be a harsh assessment of the fifth ranked defense in the AFL. It is weakened this week by the probable absence of Phil Davis though, with the star key defender likely to miss with a calf injury. That will leave most of the defensive work to Joel Patfull and Nick Haynes. Where the Giants do excel in defense is when they have to move the rebound the ball, with Heath Shaw perhaps the best at this in the AFL at the moment. The ex Magpie (traded for Taylor Adams a few years back) is a lock for the All Australian team and is arguably having his best season. Collingwood has had a problem defending the ball out of their forward line too so that’s another area the Giants will look to exploit. The Magpies forward line is a mess at the moment though really, and even if Alex Fasolo returns from injury it’s still not a threatening force. The Giants will obviously be expecting to win this game and set themselves on the path to a top four spot leading into the finals. They have been weakened a little by injury though with Davis and Buntine both expected to miss. The Giants though have depth like no other team, and there’s a plethora of young talent to choose from in their NEAFL outfit. The two Adams, Kennedy and Tomlinson are the most likely inclusions but there’s others such as Llyod, Reid, Barrett and Steele who will consider themselves chances this weekend. No matter what the final selection is the Giants will field a team that will be formidable indeed. The GWS Giants should win this game. They have the more talented 22, they will be at home and they are in far better form than the Magpies. Funnier things have happened though and the Pies will head north hoping for one of the upsets of the season on Saturday. For that to happen a lot has to go right, they will need to catch the Giants on an “off day”. Also they will need a few of their injured stars to return, most notably Fasolo and Adams. If that occurs then maybe the Pies can do what no one will say they can do, and that’s win against the Giants in Sydney. The VFL Magpies are flying. They sit in the top four on the VFL ladder and are on a six game winning streak. It may get even better too with trips away to the bottom two placed teams in coming weeks. This week they head to North Ballarat to face the Roosters. Game start is 1pm at Eureka Stadium.